In a competitive global market, educators throughout the United States focus on math and science to prepare students to become leaders in technology, engineering, and medicine. Unfortunately, this means art and literature often take a backseat in lesson plans. However, studies have found that reading and art bolster the critical thinking and creativity needed for professional success. That’s why the STEAM movement is steadily gaining popularity in classrooms and projects throughout the country, incorporating art into STEM learning. One of the main objectives of any artistic pursuit is exploration. Through discovery, peoples’ minds develop accountability, flexibility, and awareness. 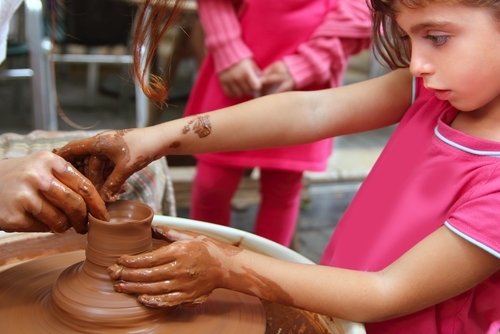 STEAM essentially uses arts-based activities, such as singing, painting, and ceramics, to supplement learning in math and science. Often, science education is presented in a structured framework of problem-solving activities, textbook lessons, and additional traditional coursework. Presenting these ideas in an unstructured way, such as building scientific models, testing hypotheses through activities, and learning principles through group songs, helps people broaden their scopes of understanding. When anyone has tangible examples of their work, they develop a strong sense of ownership of these ideas and a more active interest in the learning process. To set minds on the path to success, reach out to the professionals at Rave Cravings in Dayton, OH. The company is known throughout Cincinnati, Columbus, and the surrounding communities for providing people in the area with LED learning kits to help them generate interest in STEM learning. To explore the many light-up accessories, EL glasses, educational tools, and additional products the company carries, visit their website. You can also call (937) 623-0860 to speak with a representative about specific merchandise. Don’t forget to like them on Facebook for product videos and photos.